Are Small Physician Practices That Care for Children Prepared to Become Medical Homes? 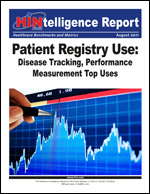 Free Download: 2011 Benchmarks in Registry Use for Quality Improvement. Lays the groundwork for an ACO program, delivering the following: a comprehensive set of 2012 ACO benchmarks from 200 companies; a framework for clinical integration, a key ACO prerequisite that puts participating providers on the same performance and payment page; and more. Reserve your PDF or print copy today. "We would expect that in 2013, health systems, hospitals and medical groups will embrace the Triple Aim to begin, or to continue, to develop their clinical integration and ACO programs." Watch the webinar today or order a training DVD or CD-ROM.